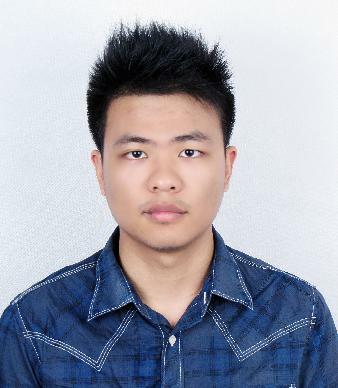 Currently I am a postdoctor of Department of Computer Science and Technology in Zhejiang University and a member of VIPA Group, led by professor Mingli Song. I received my B.Sc. degree of Software Enginerring in June 2012 and and Ph.D degree of Computer Science in June 2018 from Zhejiang University, respectively. Currently my research interests include: Computer Vision and Deep Learning. J. Lei, Q. Luan, X. Song, M. Song, Action Parsing Driven Video Summarization, TCSVT 2018. J. Lei, Z. Wang, Z. Feng, M. Song, J. Bu, Understanding the prediction process of Deep Networks by Forests. BigMM 2018. J. Lei, X. Gao, Z. Feng, H. Qiu, M. Song, Scale Insensitive and Focus Driven Mobile Screen Defect Detection in Industry, Neurocomputing 2018. 雷杰, 高鑫, 宋杰, 王兴路, 宋明黎. 深度网络模型压缩综述. 软件学报, 2018, 29(2):21−266. J. Lei, Z. Feng, M. Song, D. Tao, Which Face is More Attractive?, ICIP 2016. J. Lei, X. Song, L. Sun, M. Song, N. Li, C. Chen, Learning Deep Classifiers with Deep Features, ICME 2016. J. Lei, M. Song, Z. Li, C. Chen, Whole-Body Humanoid Robot Imitation with Pose Similarity Evaluation, Signal Processing , 2015. J. Lei, M. Song, Z. Li, C. Chen, X. Xu, S. Pu, Humanoid Robot Imitation with Pose Similarity Metric Learning, ICPR 2014. J. Song, C. Shen, J. Lei, A. Zeng, K. Ou, D. Tao, and M. Song, Selective Zero-Shot Classification with Augmented Attributes, ECCV, 2018. B. Tang, X. Liu, J. Lei, M. Song, D. Tao, S. Sun, F. Dong, DeepChart: Combining deep convolutional networks and deep belief networks in chart classification, Signal Processing, 2016. X. Song, L. Sun, J. Lei, D. Tao, G. Yuan, M. Song, Event-based large scale surveillance video summarization, Neurocomputing, 2016. N. Li, Z. Liu, J. Lei, M. Song, J., Bu, Automatic color image enhancement using double channels, Pacific-Rim Conference on Multimedia (PCM), 2016.